IA Collaborative designed the Kelvin Home Coffee Roasting business to bring the coffeehouse experience to your countertop. For people craving the freshest, purest, at-home coffee experience, the Kelvin business model delivers a beautiful, intuitive and award-winning product, along with a sustainably-sourced green bean subscription program and digital app. The Kelvin Coffee Bean Roaster gives people a simple and beautiful way to roast beans at home. Kelvin's addressable market is the 8.8 million households that already use specialty brewing methods and are seeking craft-quality coffee experiences at home. But they're either unaware of the possibility of home coffee roasting, or turned off by the amount of effort required. 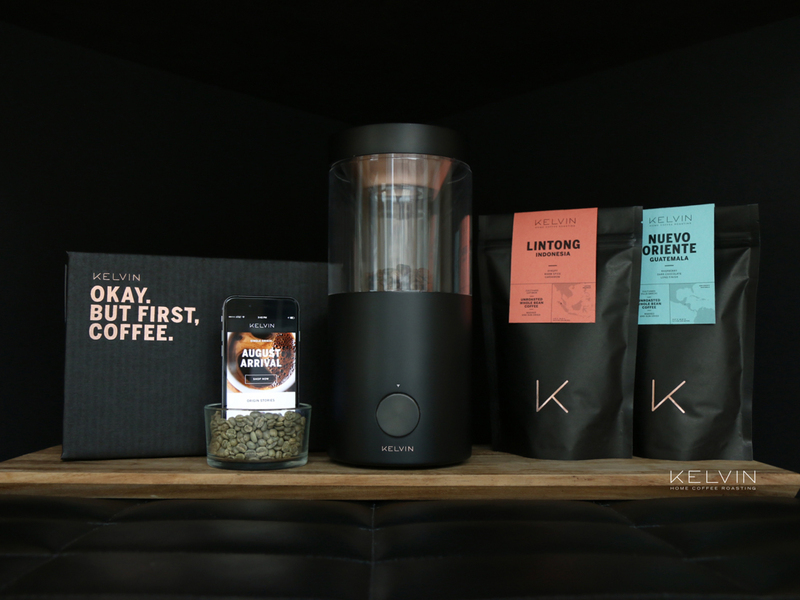 Enter Kelvin, which makes it convenient and enjoyable to experience freshly roasted coffee at home. 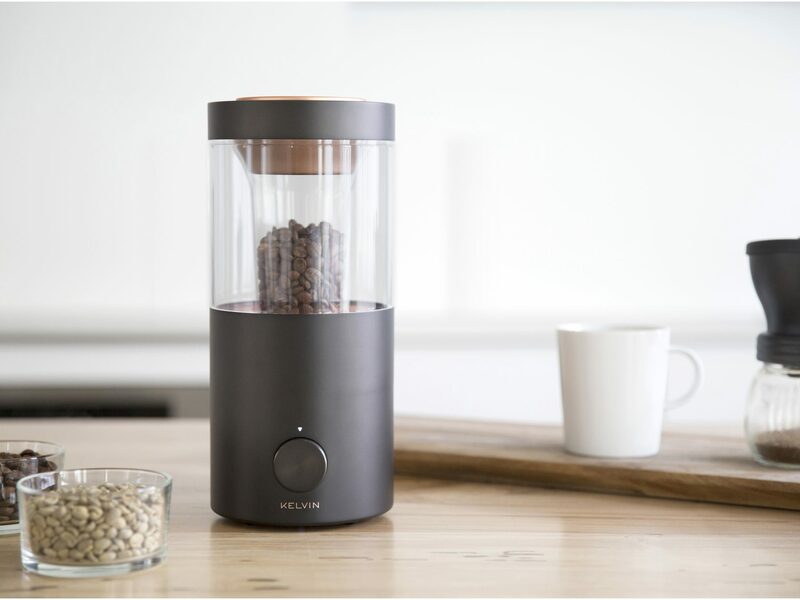 Kelvin's award-winning design enables anyone to participate in the multisensory experience of the roasting process; from the first-time explorer to the seasoned coffee enthusiast. Use and maintenance is simple. You simply set the roasting time and roasting level with an easy knob and come back when the beans are roasted and cooled. Collecting chaff is easy because it's built into the lid. 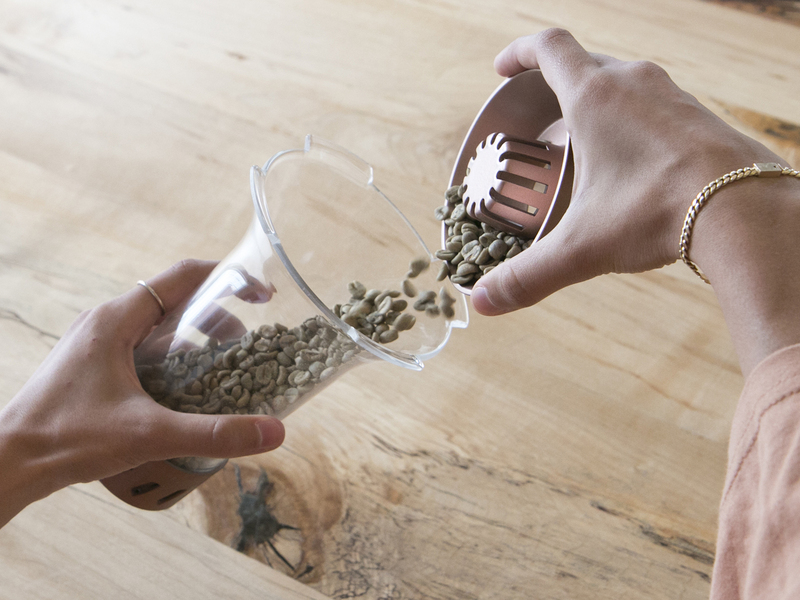 The lid also doubles as a measuring cup to load the chamber with just the right amount of green coffee beans. 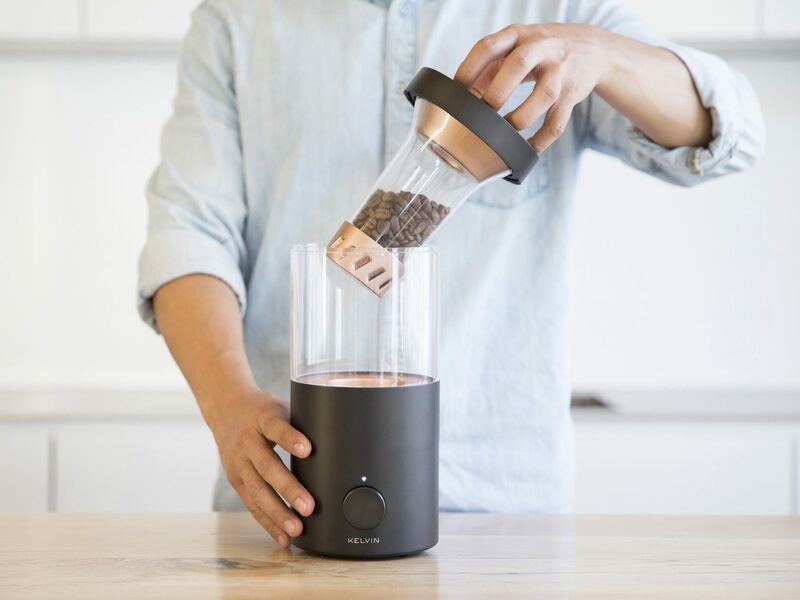 We've engineered the Kelvin to bring out the best quality from any raw coffee bean, so that the the taste is delicious in your cup no matter how you brew. Inspiration for the Kelvin came from observing the fringes of coffee culture and realizing that people are groing to great lengths to get the purest at-home coffee experience possible - even using home popcorn machines and clunky, commercial grade roasters. This combined with the global consumer shift toward authentic, artisanal, and on demand/convenient experiences at home, is what makes the Kelvin business model a true lifestyle innovation.